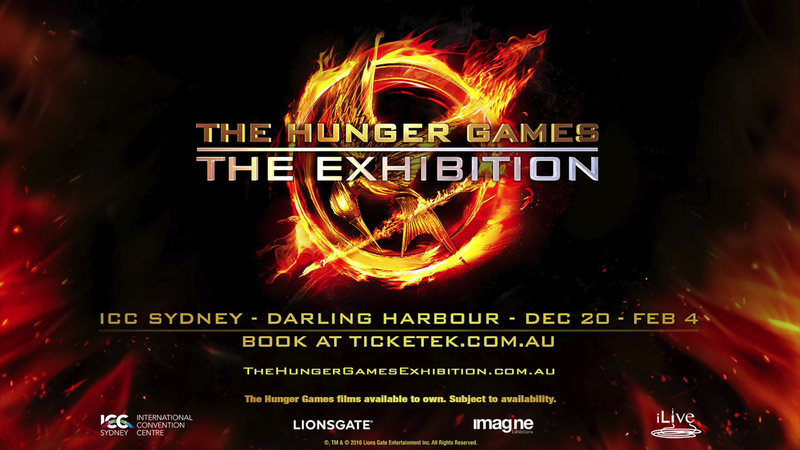 Lionsgate announced just a couple of weeks ago that, despite all odds, The Hunger Games: The Exhibition will be embarking on a worldwide tour, with the next stop being Australia! Now, we have more concrete details on the opening, thanks to Lionsgate's info for the Australian press (via Pedestrian.TV/Gizmodo AU) - the exhibition will open at Sydney's International Convention Centre on December 20 and run until February 4 - a much shorter stop compared to the two U.S. ones so far. And for those itching to get hands on tickets as soon as possible, tickets are going on sale on Ticketek on Tuesday, September 13! The shorter stop here seems to suggest that other countries won't have to wait as long as we'd have initially thought - we're expecting the exhibition to move to somewhere in Asia next, before heading to Europe. Who knows, maybe we could get the exhibit in London in time with Robin de Levita's stage adaptation of the first book that is due later this year, fingers crossed. Social Media video from Peter Holloway on Vimeo. “Through a series of interactive, never-before-seen content and immersive environments, guests connect to The Hunger Games in a one-of-kind experience,” says Jenefer Brown, Lionsgate Senior Vice President of Location Based Entertainment.